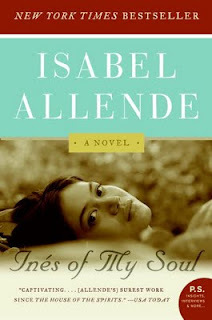 One-sentence summary: A Mexican family immigrates to South Carolina, and the painful, tragic experience nearly destroys them. Do I like the cover? : I do, very much. I adore the colors, and the broken ceramic piece is very emotional without being over-the-top. First line: Lilia lingered beneath the shade tree and watched her husband leave, though the morning dawned mild, and she had no need yet for the canopy's cool shadows. Buy, Borrow, or Avoid? : Borrow or buy -- this is a look at a very timely issue in an emotionally gripping way. Why did I get this book? : I love books about timely topics, like immigration, and I was intrigued by the cover. Review: I had a really tough time writing this review, and I can't exactly place my finger on why. I love novels that tackle tough, timely issues like immigration, so I was excited by Stone's story of a Mexican couple crossing the border and trying to make a home in South Carolina. 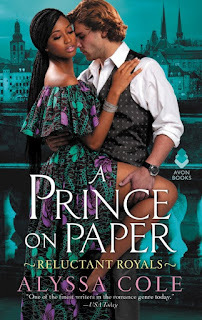 While reading this book, I was appreciative that Stone didn't whitewash the experiences of Hector and Lilia, but at the same time, I felt some disconnect with their story. I think, for me, this book didn't feel particularly nuanced, and I can't decide if that's a problem or not. Stone's characters go through absolute hell on their way to the U.S., and the events and experiences she writes about are ones I've seen in documentaries and read about in immigrant testimonies. She's certainly not exaggerating. 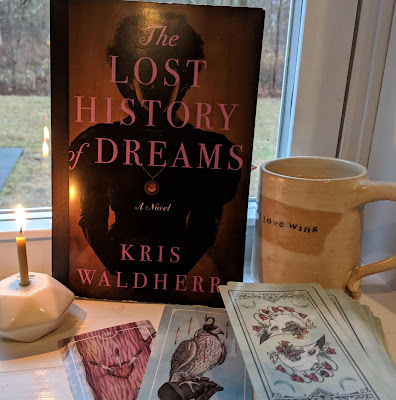 But I found myself wanting a little more from the story -- more introspection, perhaps, or more voices -- or some space to reflect and chew on what had occurred. There are some lovely threads in this book about marriage, belonging, and making one's place in the world that I would have liked to see more developed. Hector and Lilia's marriage is understandably strained as they search for their daughter, and I wished that was explored more deeply. The South Carolinian magnolia farmers, Lucas and Elizabeth, were also intriguing characters, and while their distance made sense -- how well did Hector know them? -- I still found myself yearning for their voice in the narrative, especially as they are clearly concerned about Hector and trust him. In some ways, I was reminded of a John Sayles movie: this book felt like a snapshot of one family's experience with immigration; at the story's end, it was clear there was another beginning. This next bit is possibly a spoiler, so don't read on if you want to be totally surprised by the way the book develops. On a totally childish, knee-jerk level, I really hated how the novel ended. I've seen a few reviews by folks who found it hopeful but I didn't -- I felt a bit like what occurred through the entire book needed to culminate in a different way, and Stone's conclusion left me feeling hollow and sad. It's probably a realistic ending, but it was a little too much reality for me. This would make a fantastic book club selection as there's so much to discuss, especially for those who love immigrant stories. Like Sarah McCoy's The Baker's Daughter, this book provides an emotional look at immigration in a way that doesn't wholly swing one way or the other politically, allowing readers on any side of the spectrum to find a way in. 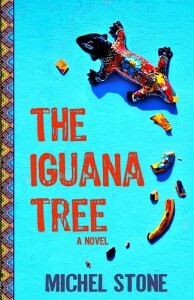 I'm thrilled to offer a copy of The Iguana Tree to one lucky reader. To enter, please fill out this brief form. Open to US/CA readers, ends 4/27. See my interview with Michel Stone for another chance to enter! This story look like a fascinating and interesting read. It was quite fascinating -- and heartbreaking, and gripping, and beautiful, and sad -- a whole rollercoaster! I really liked this book. I find it interesting that you wanted to hear Lucas's voice - Stone had originally written part of the story from his point of view and was told to change it. Your review is great! How interesting! I know this is a darned if you/darned if you don't scenario, wishing an author did X in a book. I can see how additional POVs would have been distracting or distancing. I often feel that immigrant stories need more of a nuanced introspection and character development than a lot of other types of novels. Without those things a story just comes across as a factual documentary. 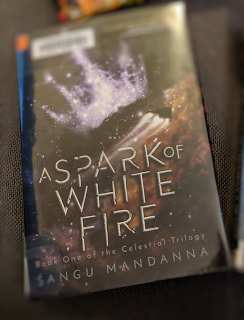 I like to read to feel a connection to the characters, especially with controversial subject matter. Great review! Agreed. And while sometimes that's good, bare bones, no melodrama, in this case I think some exploration of the non-immigrant's thoughts/experiences would have been a good foil. I've already written my review for Wednesday, so I'll comment. The book felt unfinished to me and totally without any further dimension. Some of what was there was really fantastic, but it just wasn't a full story to me. I'll save the rest for my review because I could go on and on. Ha, I love that! I actually haven't considered some of the scifi I've read immigration stories, but that's pretty awesome. 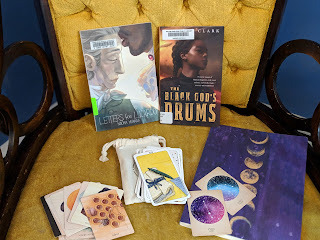 As I read a lot of hist fic, there's a fair amount of immigrating and emigrating, but I'm really excited by contemporary books taking on the issue now -- I love it when artists explore these fraught issues. This sounds interesting to me...but its good to be cautioned that it has some flaws just so my expectations don't get to high. I loved your thoughtful nuanced review. You gave me genuine insight into this novel. Thanks! Aw, Judith, thank you! I appreciate that. I want very much to convey my opinion while being reasonable so I'm glad this review was helpful. I will be reading this one later this week, and am excited to get started with it. I found your review and reactions to be very interesting, and I am wondering if I will feel the same way. Thanks for being so candid and thorough in your review today. I'm looking forward to your thoughts -- will be sure to check in when you post your review to see what you felt! Loved this review, Audra. I knew nothing about this book but now I want to give it a try. 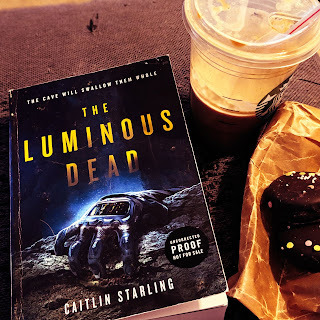 Although you pointed out some problems with the book including an ending you didn't like (I hate when this happens) I still am interested in trying this book! This sounds like an intense somewhat unpleasant story because of the extreme difficulties this couple experiences on their wat to CA but it only sounds worth reading. I don't know a lot about the experience of immigrant's coming to this country except that many of them go through hell to get here. Sounds like this one wasn't quite the perfect read for you, but I do love immigration stories so I'm still intrigued. Thanks for being on the tour Audra!